any can remember playing with flashlights as a boy. It might have been trick-or-treating on Halloween, finding the best place to watch the stars or walking to the outhouse while at camp. However, no one can deny the power of holding a light in your very hand. When we talk about holding tactical flashlights, that sense of power and control is still in play. Often, this remains in play in a massive sense. Tactical flashlights are capable of doing far more than regular ones. That allows for far more light and they manage to rarely if ever break on you. Overall, they’re incredibly useful. To do a man’s job, you need a man’s tool. 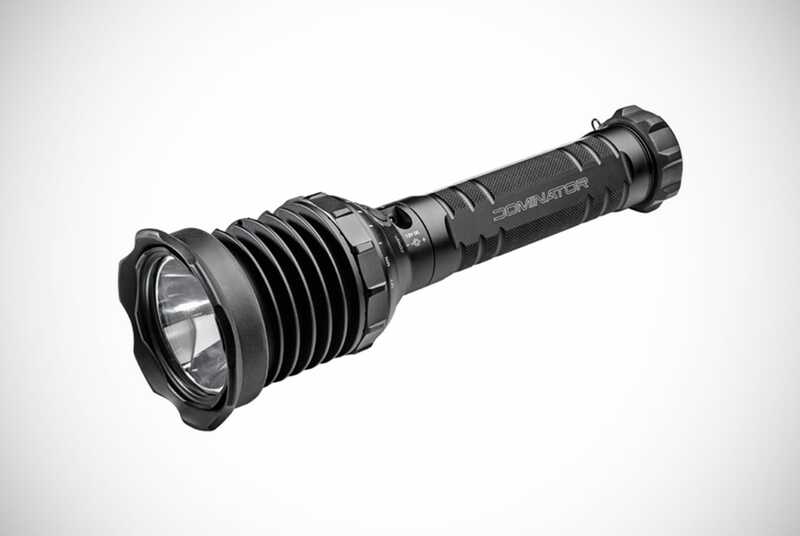 The UDR Dominator tactical flashlight is nothing if not that. It has a powerful set of options that are good for any situation. These tactical flashlights can be set to 14, 28, 50, 100, 180, 350, 675, 1275, or 2400 lumens. At its highest setting, it’s the equivalent of a searchlight in your hands. As such, it’s perfect for military or naval missions when you need a steady light that can be moved with ease. This isn’t just one of the best tactical LED flashlight models out there – it also comes with a crate of extra goodies. Rather than having to choose between rechargeable or disposable batteries, the Dominator comes with both. Either slide twelve 123A into the battery rod or charge up the Li-ion using the wall or car charger. This model has the world in mind because the wall charger comes with a comprehensive set of international plug adapters. While choosing a 1000 lumen tactical flashlight might make some men question the need for extra lumens, having a bit extra on the side will do no harm. 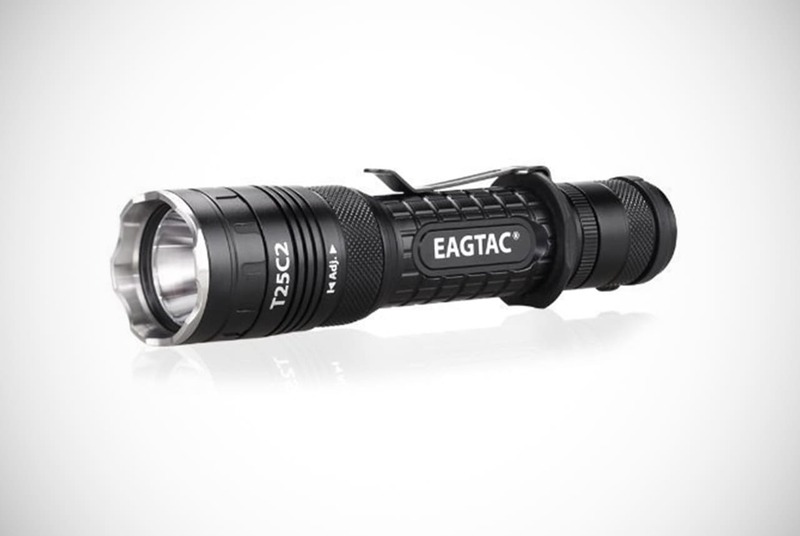 Which is why EagleTac’s 1180-lumen model is a great choice. It may not compare with the 2400 lumens of the Dominator above, but that’s because the Dominator is for the military or for show-offs. 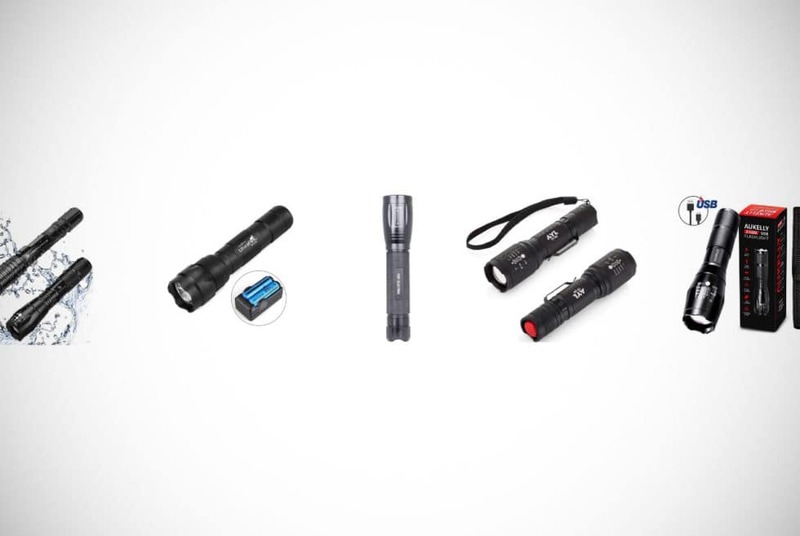 These tactical flashlights give you what you need without all the bells and whistles. With two options for power (disposable and rechargeable batteries) the XLamp gives you choices you deserve. This is, of course, hinges on where you’re going to be and what you’re going to be doing. Throw onto that a high-grade aluminum makeup and seven different modes (including strobe and S.O.S.) and you have a clear winner. 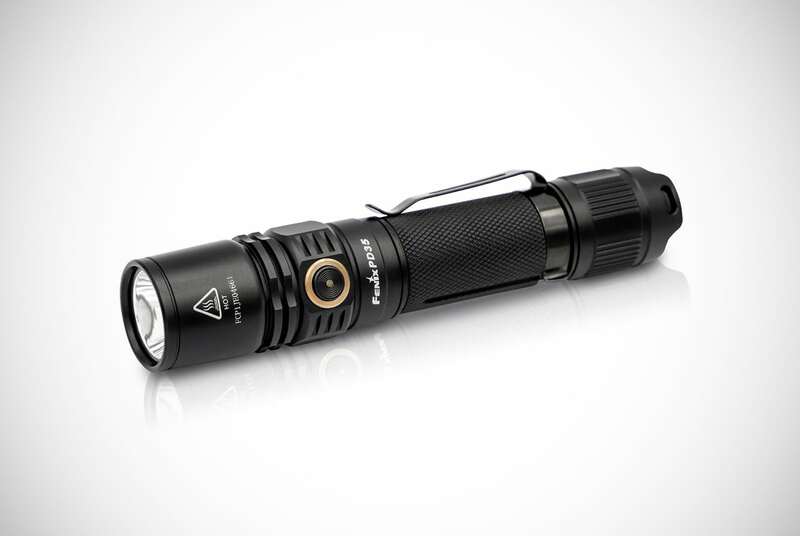 Fenix is one of the major brand names out there for tactical performance flashlight models. Therefore, it would be remiss of us not to include one here. Or more than one. The PD35 is the perfect entry model, as it hovers at the threshold of 1000 lumens without a number of the other features that other models here include. 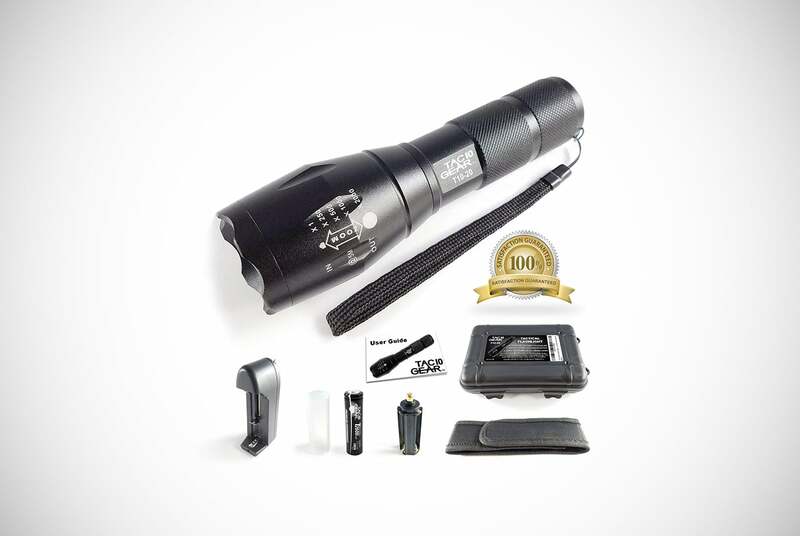 If you’re interested in trying out high-power tactical flashlights before sinking hundreds of dollars into an entry, then this is a good place to start. It is better to drop a little before you drop a lot if you’re unsure. Variety of modes from Eco to Turbo. 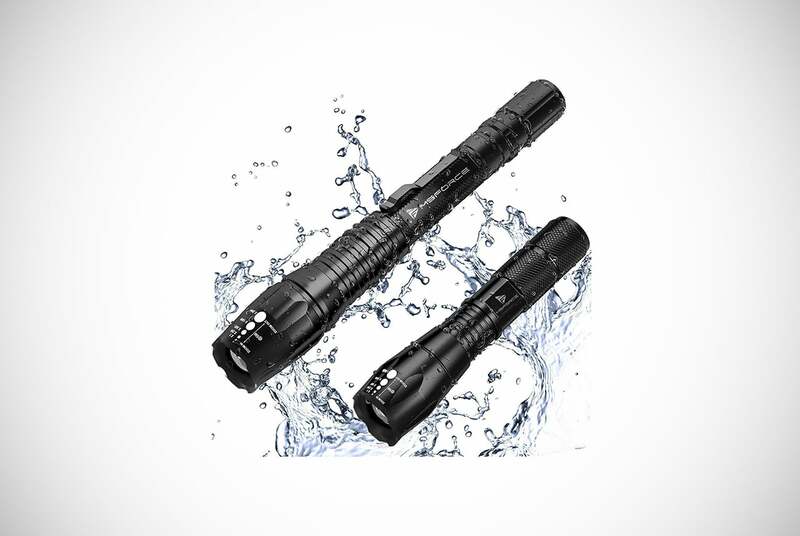 Some might want to dive right into finding the best tactical flashlights money can buy, then drop hundreds. However, looking into some of the lower-end models might be a good first step instead. Why dish out upwards of a thousand dollars if you’re not even sure how many lumens you’re going to be needing? With this model from TAC10 Gear, getting started in the world of tactical flashlights has gotten that much simpler. 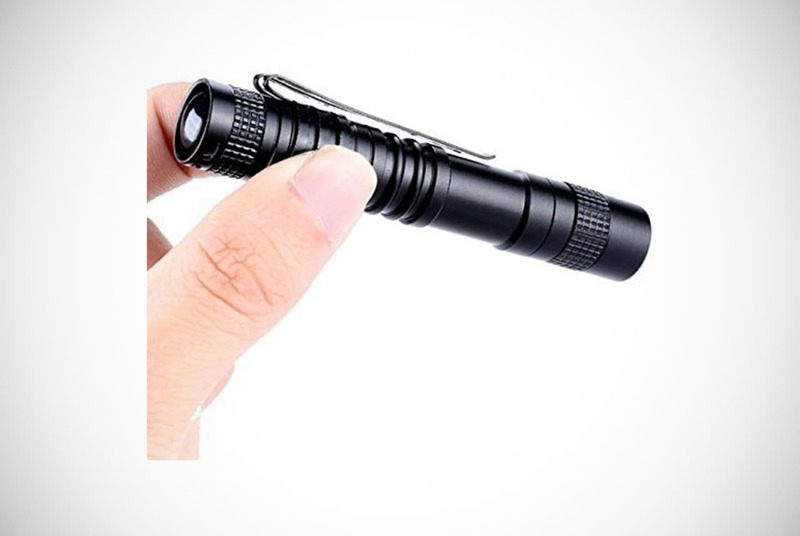 With an incredibly low price, anyone can try wielding a tactical flashlight on their own. Perfect for curious consumers who typically dip a foot into the water before jumping in completely. However, once you realize the power of a high-lumen flashlight you won’t want to go back! When going through the types of tactical flashlights around, you’re going to come across a wide range of models with just as diverse a range of features. One of these is the entry level Feit 1000 lumen flashlight. Their line includes flashlights with a lower level of lumens, and this is the model that starts reaching into the 1000+ range. However, for those who might not need 1000 lumens all the time, there’s an option to switch between 250, 500 and 1000. While some men might have a desire to go straight for the biggest and best tactical flashlight brands, starting small also has its benefits. Just as with the model above, this entry from Feit is priced for those wanting to try tactical flashlights without dishing out a couple hundred for the opportunity. For consumers looking to explore a mid-level tactical flashlight, the Klarus XT11X model is an ideal choice. 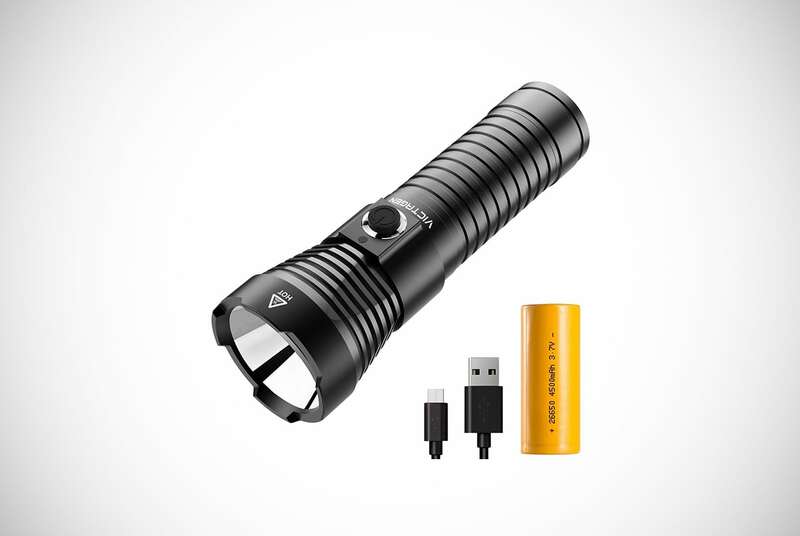 While a number of flashlights come with rechargeable and disposable battery options, this Klarus simplifies things by only having a rechargeable battery. It can be powered up with a conventional wall plug or via USB. On the go? No worries! Use your car charger or your power bank instead and keep going! This is a tactical LED flashlight with a lot going on under the hood. With a max output of 3200 lumens (though the amount is adjustable), you’re sure to find the amount that works best for the job at hand. Add to that a changeable zoom feature and rainproof skin. Gentlemen, in these tactical flashlights, we’ve got a winner! 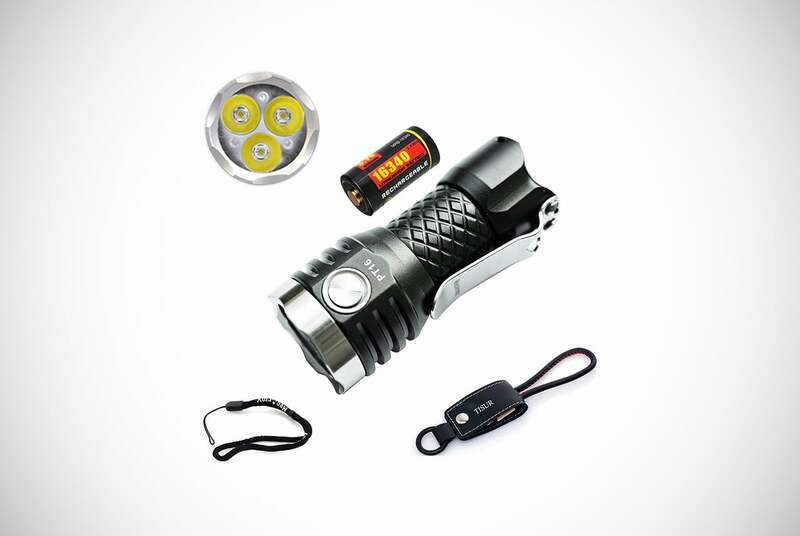 Built for the man who needs a simple yet powerful flashlight, this entry from Husky does away with a number of extra features. This was done to focus in on what makes a tactical flashlight useful, its high, low and strobe modes. Gone are the multiple charging features and the zoom. All that’s here are a high-quality Klee LED frame and a tough-as-nails exterior. This model is a survivor. Via testing on this Husky model by various reviewers, they were able to prove that this entry is waterproof up to one meter and shock resistant up to 30 feet. Switching between modes is incredibly simple, with a single tail-button controlling all three. Without having to worry about the bells and whistles, a man can get back to doing his job with confidence! This is a perfect casual model for anyone interested in exploring what it means to work with a high-lumen flashlight. Most top tactical flashlight entries boast a truckload of extra features. However, this model from Aukelly makes sure that you only get what’s absolutely necessary. This makes it similar to the Husky model previously mentioned, but it stands out itself. 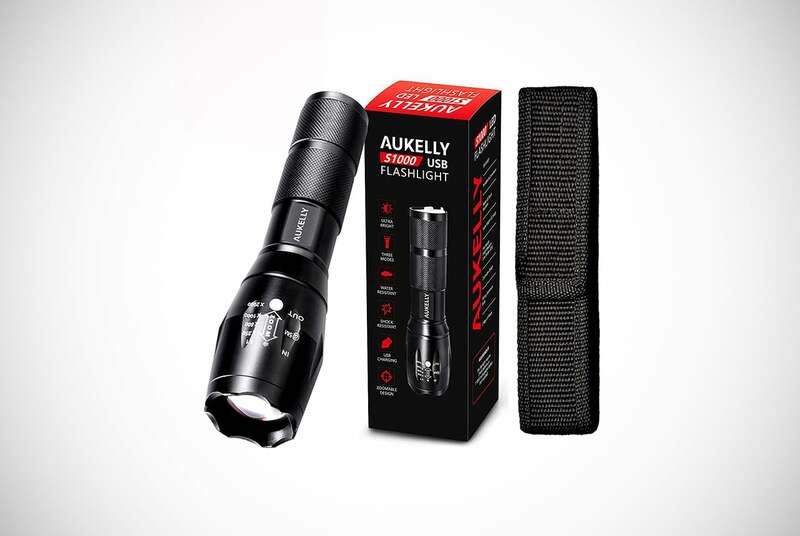 These tactical flashlights are helpful for men who don’t need a tactical flashlight for everyday use. Overall, this model is inexpensive and lies ready in your drawer or glove box until needed. 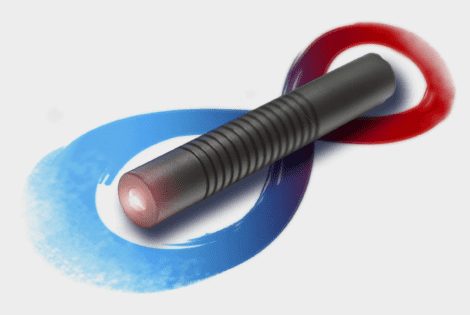 This flashlight, though simple, is versatile enough to work in a number of contexts. It is perfect as a handheld high-lumen device for whenever you’re needing to identify objects in the dark. It’s also greatly latched to your handlebars at for night riding. Making sure you’re visible is important to your safety, and this is a flashlight that can do just that. This is the first tactical flashlight on our list not only to be an accessible model but a dual-pack at that. All at an entry-level price and use. 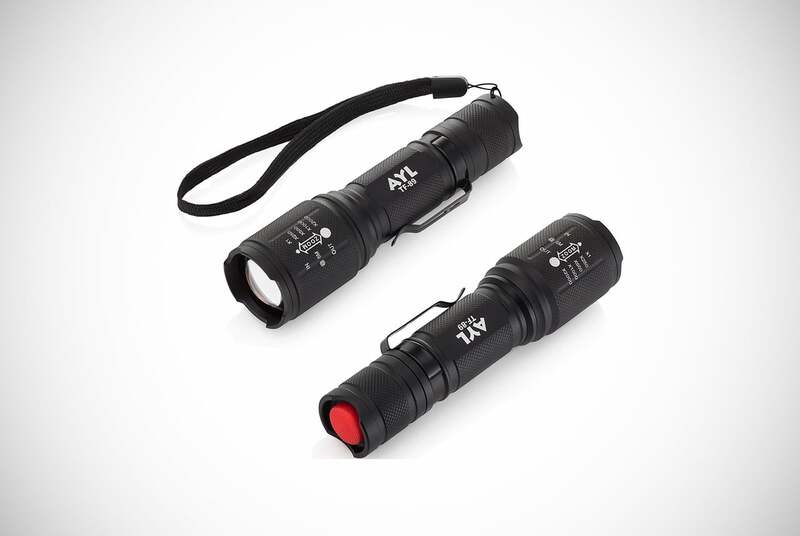 These AYL flashlights are compact and lightweight, making them a great addition to glove boxes everywhere! Unlike other models which take up a lot of space (or weigh your hunting bag or backpack down), these will slide into place perfectly. 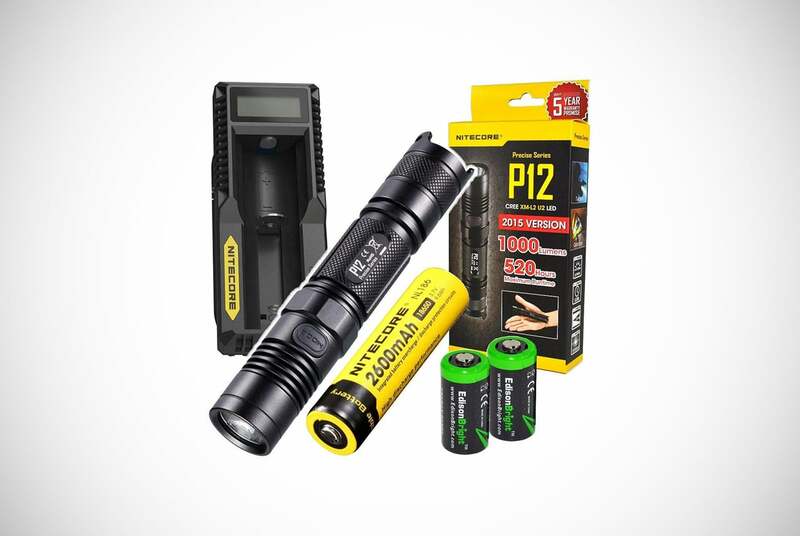 What’s more, both are a type of rechargeable tactical flashlight. This means you won’t be constantly buying batteries at the store. Don’t let their size fool you, they have five different settings that can pack a 1000 lumen punch. Picking a 1000 lumen tactical flashlight can be a difficult choice, especially considering all the options out there. That and many models claim to go up to 1000 lumens. However, when tested in a lab, some don’t even make it past 500. This proved some lie in their marketing. Although, the models we used on this list are fully vetted to avoid such issues. How terrible is it to see a lying company at work? Men are unable to find a proper working tactical flashlight that serves their needs, especially as they’re in search on the market. This simple Victagen model is a good start, proven to be what it claims to be. With four settings across a range of modes, you’ll be able to find your way through any dark point! Plus, with its waterproof and durable aluminum frame, you won’t have to worry about it breaking if you drop it on rocks or in water. You may very well be using this tactical flashlight outside, and this is a model made for the outdoors! Inexpensive and reliable, it’s a great model to have on-hand. Most of the entries on this list have a similar structure, a regular flashlight with a powerful beam. Where this model from Nitecore outdoes them is in their introduction of a moveable head. Whereas there is only one way to hold other flashlights, you can twist the head here 90 degrees like a lamp. With the included harness, you can even slide it into your belt buckle. 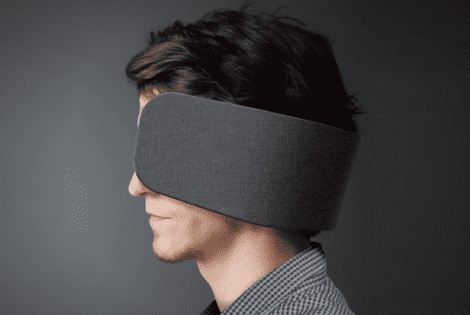 This allows you to have an incredibly comfortable hands-free experience. This feature alone makes this entry an exciting tactical flashlight, but that’s not the only punch the MT21C packs. It’s also shock resistant (they dropped it, you can try it), waterproof, and comes with a rechargeable battery with USB connectivity. All this makes for a solid mid-level tactical flashlight you won’t want to do without! 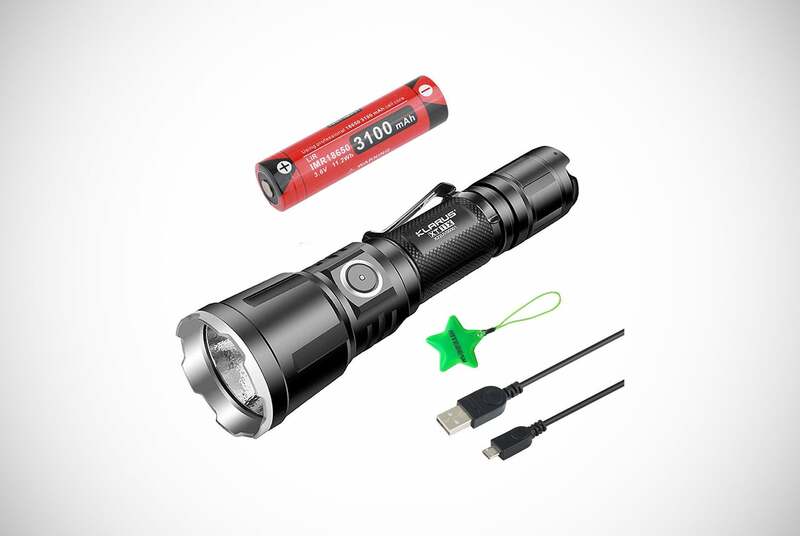 Whereas the previous double-pack on this list was comprised of two smaller, lightweight models, this double-pack has two different tactical flashlights with different power levels and functions. If you’re needing a simple light-up in the dark, the smaller 1000 lumen flashlight will more than do the trick. However, if you’re wanting the power of a mini-searchlight at your disposal, you can bring out the big guns. That is the powerful 2000 lumen tactical flashlight. We know, we were stoked to see this too! While both flashlights are lightweight models, don’t let that fool you! They’re powerful entries in a list of already powerful tactical flashlights and are competitively priced. 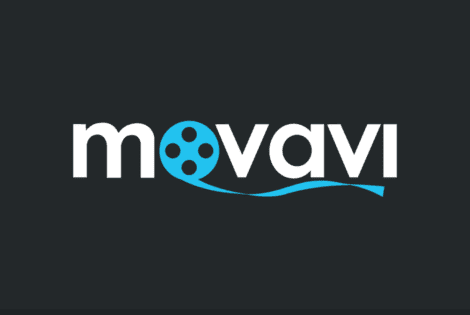 This allows them to be available to any consumer. Don’t believe us? Grab a pair and find out for yourself! Frame might not be as durable as other entries on this list. The largest percentage of tactical flashlights on this list are entry-level models. This is a great opportunity for curious or wary buyers to enter the market. Unfortunately, it also means that the quality is not going to be as high as it will be for mid- to high-quality flashlights. While this entry from MecArmy looks small, it packs a mighty punch. This is the supremely portable tactical flashlight, able to be strung to a wristband or around a belt loop. Just don’t think its size says it all, it can project up to 1100 lumens through whatever dark you’re up against. Living in a rainy city? Not only is this model waterproof, but it’s also built to shine through up to two meters of water. Not your average flashlight indeed. Add to that a rechargeable battery (with USB compatibility) and a couple wristbands and you’re good to go! When picking a tactical flashlight, some men are wanting to find the most durable (in fact, the most unbreakable) models. There’s something deeply masculine about this, the desire to face whatever the elements have and come out on the other side unscathed. This is true especially in cases where the user works in a high-risk occupation. This those involved in places like police, firefighters, and military member. Properly working equipment can be a matter of life or death. Sometimes, quite literally. However, this means dishing out some major dollar for these models. What if you’re working in places where it’s easy to lose equipment? 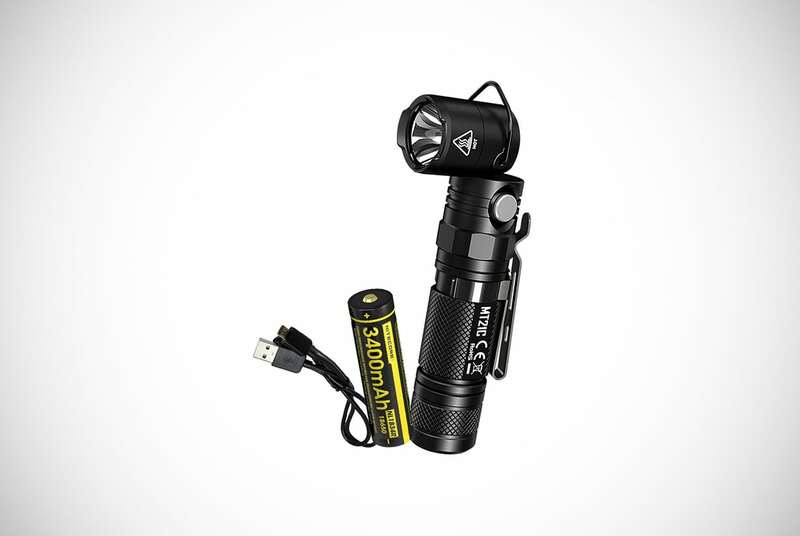 In this case, you need a high-lumen flashlight that you’re not afraid to lose. 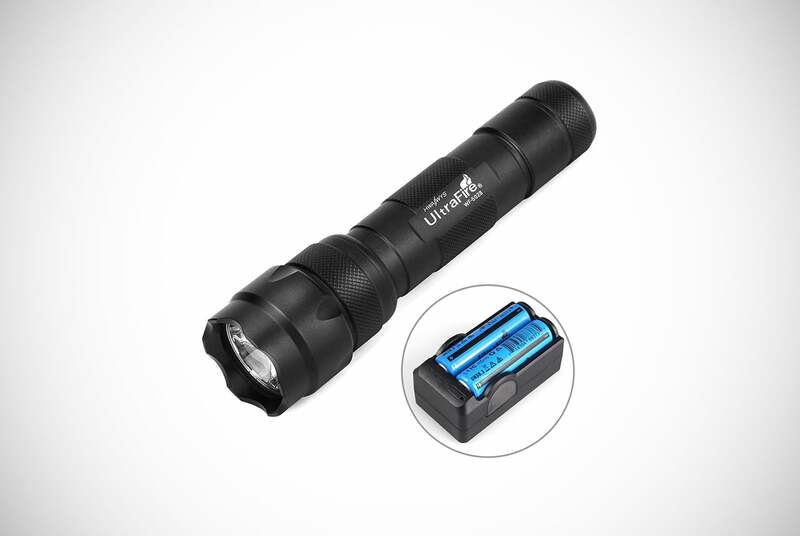 This entry from Ultrafire is exactly that, an inexpensive yet operational tactical flashlight with over 1000 lumens of power. It’s powerful enough to get the job done, but you won’t be crying if you drop it down a sewer line. 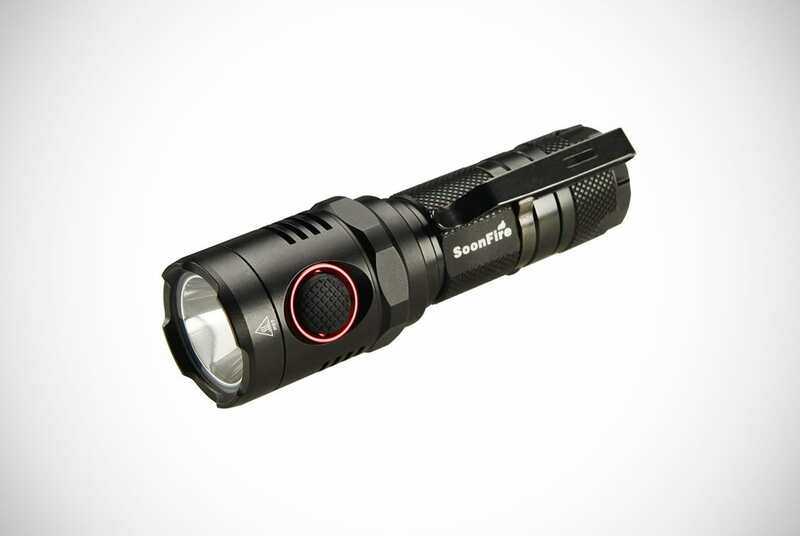 What makes these tactical flashlights from Soonfire stand out from the rest? Likely, it is its six different operational modes: think high, medium, low, strobe. These are all standard entries, but this flashlight has two additional flash modes, being slow and fast. It doesn’t matter if you’re trying to get attention or scare away certain critters from your tent. 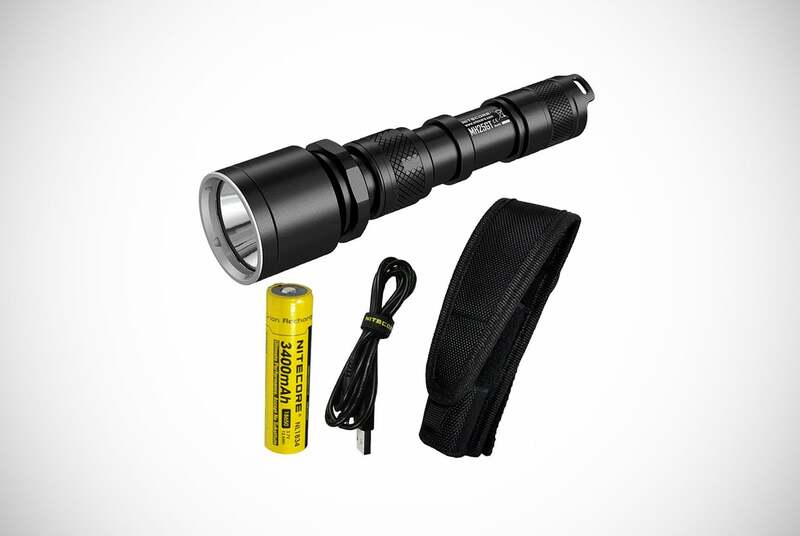 Overall, this is an entry-level tactical flashlight that earns its place in your toolkit. Making sure that you have the right equipment when you have to is an absolute must. Especially if you’re working in a high-risk occupation. For some, particularly in uniform, the quality of your tools can make the difference between life and death. With that in mind, making sure you pick a solid tactical flashlight is key. While there may be cheaper entry-level models on this list, you don’t want to leave anything to chance with low-quality equipment. Getting shopping ideas from a list like this is ideal. This is because, when you’re looking for the best type of tactical flashlight around, poking around in stores will limit your options. Seeing how a powerful model like this Nitecore lines up with the competition will only give you confidence in your purchase. If you’re looking for a mid-range model that works under stress, this is the model is certainly for you. 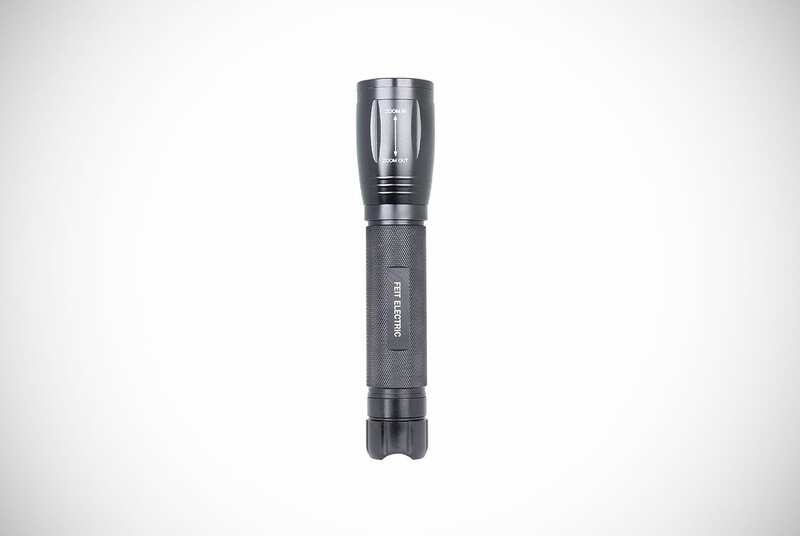 This entry is unique on this list of tactical flashlights for its size. Only a few inches across, this is by far the smallest and most compact model in this review. While some might take that for a sign of weakness, don’t judge a book by its cover. 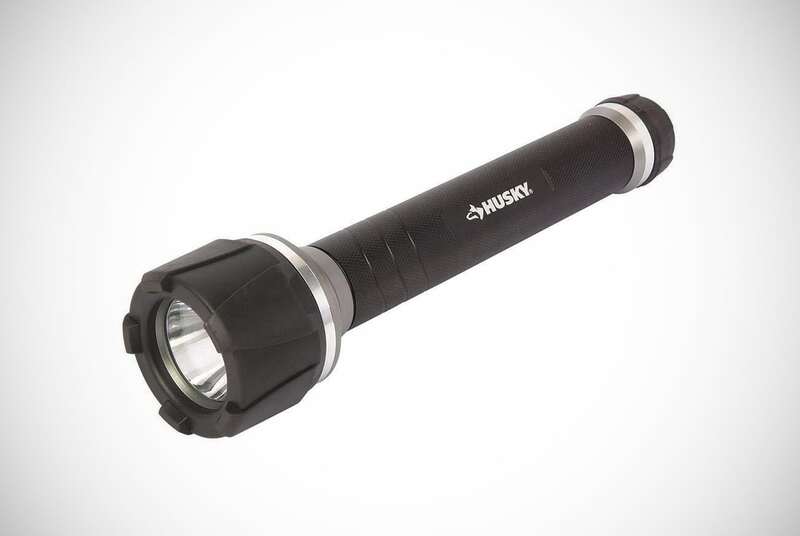 This flashlight is capable of beaming 1000 lumens worth of light on its unsuspecting target. Perfect to fit into small spaces (or as a gift for a girlfriend), if you ever need to whip it out on an attacker they won’t see it coming. 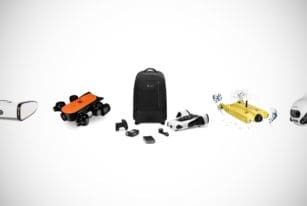 Plus, its small status means you can pack it away in any backpack for hiking. With it being so low-weight, you’re also seeing a flashlight that can merely fit in your pocket if need be. Looking for the right tactical flashlight means thinking about where your needs are. Some need the thousand-dollar models best suited for marine or military use. Meanwhile, some are okay with a 1000 lumen penlight. It’s easy for a man to think he needs the strongest tactical flashlight out there. However, we know that making sure that you get what it is you need is more important. Nothing more, nothing less. This is why these tactical flashlights by Nitecore are a great mid-level entry. It’s right smack-dab in the middle of the high-low quality spectrum. You get all the durability and range you need without the bells and whistles. 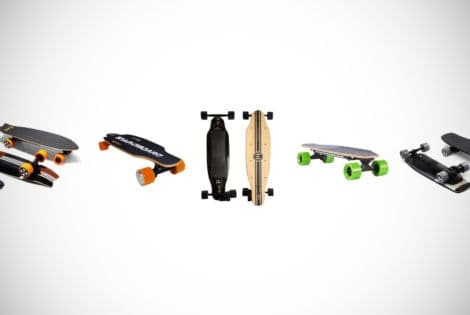 With different modes for every occasion, you won’t need anything else for day-to-day life. What are tactical flashlights exactly? It can be confusing to hear words like ‘tactical’ and immediately think about war. Maybe there’s some kind of political association, like with soldiers. Perhaps, it reminds you of communities like survival preppers. However, good tactical flashlights are a piece of gear that should be in any man’s arsenal. A good tactical flashlight is right up there with a Swiss army knife in terms of multipurpose tools that need to be respected. That, and there are so many different models and brands that finding the best tactical flashlight. All are prepared to suit your needs, but finding the right one is a task that might require a bit of research. 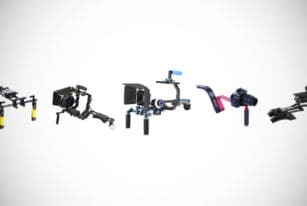 As with any piece of gear on this site, knowing what your needs are is huge. It goes a long way to making sure you find the best product possible. If you’re a hunter, for example, a compact tactical light is great for moving fast when you’re on the go. However, for people like firefighters or police officers, having rechargeable tactical flashlights might be massively key. They’ll possess different needs thus have a need for different settings. These changes or differences come in the form of things like candlepower, brightness settings, and strobe functions among other things. Thankfully we have a wide range of options available to us, and this why we at Men’s Gear do the research for you. This gives you the down-low on the best buys on the market today. In this guide, we’ll take a look at the best tactical flashlights over 1000 lumens. We’ll also give a summary of just what these flashlights are and why every man should own one. What are the main benefits of a tactical flashlight? Every day carries (EDC) are big deal, and they’re often known as “equipment for specialized uses.” They’re smaller, EDC-friendly lights that offer a majorly beneficial in a jam. Perfect for when things go sideways! If you’re on a particular mission (or on the job) then investing in something a little heftier might be more up your alley. Either way, the best tactical flashlights for the money are going to be one you can use in a number of situations. Any set of tactical flashlight reviews would be remiss if there wasn’t a discussion of how many uses you can get out of the device. Their usefulness in an emergency is unparalleled. Whether a power outage in the neighborhood or your car breaking down, having a 1000+ lumen flashlight can make the difference. It could keep you from bad issues, like being stranded. This is especially true of an EDC-friendly tactical LED flashlight. Another major use is in self-defense. The ability to shine the light into your assailant’s eyes is incredibly useful. 1000 lumens aren’t enough to do serious damage to the eyes, but they’re seriously bright. However, if it’s dark outside then it’s enough to give your attacker pause that could save lives. If you’re stranded in the forest or on a highway in the middle of the night, these flashlights are massively helpful in signaling for help. What is a lumen? How bright are 1000 lumens? When you walk into a building you’ve never been in before, what’s the thing that makes an immediate difference? The kind of light, of course. Maybe someone’s mounted fluorescent tubes above their cubicle, or maybe you’re in an apartment with that classic yellow wash. In any case, there aren’t just different types of light, but also different levels. When we talk about handheld lights, it doesn’t matter if it’s a mini tactical flashlight, a tactical pen flashlight, or what have you. We’re usually talking about a unit of measurement called a lumen. For all intents and purposes, a lumen measures the strength of a particular source of light. While we could drop all the physics of the thing on you, it suffices to say that one lumen would be the light your eye perceives from a single birthday candle lit about a foot away from you. Not a whole lot, is it? However, if you take a typical 60-watt light bulb, you’ll be talking about around 750-850 lumens of light. This is the type of soft glow most of us are familiar with. Yet we’re not always wanting soft lighting. Since this is a 1000 lumen tactical flashlight review, we should be getting around to explain why 1000 lumens is that magical number. 1000 lumens is the amount where we can start using directed light, like from a rechargeable tactical flashlight, comfortably. It’s not so much of a general wash as a directed beam that helps us see particular things when it’s dark out. Plus, 1000 lumens aren’t terribly dangerous to the human eye. It takes about 4000 lumens to start feeling like things are getting to be a bit much. That’s when we start narrowing our eyes to filter things out. Why buy a flashlight over 1000 lumens? How far away can they shine? When you read something like “this tactical flashlight has over 1000 lumens”, any man’s likely to have one of two different responses. The first being, “wow! That sounds awesome! Where can I get one?” The other is a bit more critical “okay, that’s great – but how much are 1000 lumens anyway? These are natural questions to be asking oneself. Especially as we are trying to navigate a marketing atmosphere that’s trying to sell men stuff that they don’t really need. Does the best tactical flashlight really have more than 1000 lumens? What’s the difference that it makes? If we start thinking about regular flashlights then your average headlamp probably produces about 50 lumens. Flashlights typically go from there until about 100 or 150 lumens. You know the type we’re talking about: an unfocused beam that often fades after a half-dozen meters or so. Your kids might try lighting up the tops of trees and be disappointed. A high lumen tactical flashlight, on the other hand, doubles down on the intensity and spread. Decent models also include a variety of modes, so that you can either choose an intense, narrow beam or a wide wash that can light up an entire area. There are often SOS or ‘strobe’ modes that generate a steady series of flashes so you can draw attention to yourself or scare away any nearby critters. The distance covered by the king of tactical flashlights Amazon sells depends on a number of factors: moonlight, fog, weather, etc. Many 1000+ lumen flashlights can penetrate up to 150 or 200 meters. Meanwhile, objects are still very much in the distance managing to be illuminated. Plus, it’s darn cool to play with! How heavy are the average tactical flashlights? No matter what kind of gear you’re dealing with, one of the most important factors is how heavy it is. It doesn’t matter if you’re camping, hunting, or trying to protect your home. Having unwieldy equipment is an invitation to disaster. Can you imagine trying to resist a home burglar if you can’t even lift your flashlight? If you have so many gadgets in your backpack, moving between camps is an absolute drag. Something has to be done and making sure that you’re using gear that’s been engineered tor mobility is the main factor. Given how many folks in uniform are needing premium equipment, this is something that’s been thought of many times before. Tactical flashlight reviews always focus on product weight, and for this very reason. Luckily tactical flashlights have been engineered with this very much in mind. Whereas older flashlight models are clunky with heavy plastics and batteries, your average tactical LED flashlight has been made with other types of material. Think NASA-grade aluminum, with the battery problem solved with the rise of rechargeable tactical flashlight models. No more carrying bulky lights with a dozen spare batteries just in case. Rather, just a sleek, rugged model with a plug-and-go recharger to boot. When searching for the best tactical flashlights on the market today, weight has to come out on top. That said, there are other requirements as well. Think range, battery life, lumens, run time, the works, and more. That’s why we at Men’s Gear have done all the research for you. All this for a simple light! When you need something bright in a dark spot, you can’t compromise on your needs. It doesn’t matter if you’re looking for something small and stowable or something business-grade and badass. There’s something on this list for you. Next time you start thinking about your next trip, whether it’s hunting or camping, think to yourself about what kind of flashlight you should be packing. The same goes for the kind of flashlight you want to have in your car. In the event of an engine failure, that flashlight might be the only thing standing between you and getting home that evening. For officers of the law, making sure you have reliable equipment is key to getting the job done safely. What are you waiting for? Check out these models and find out what best works for you.